Custom built rancher with large rec room above the garage. Located in one of the newest subdivisions in town, this house has 9' ceilings, solid 3/4" oak hardwood floors, heated tile in the bathrooms, spacious ensuite with custom shower, cus tom alder kitchen cabinets and many more high-end features. The master bedroom has garden door access to the private back patio, overlooking the fenced and landscaped backyard. 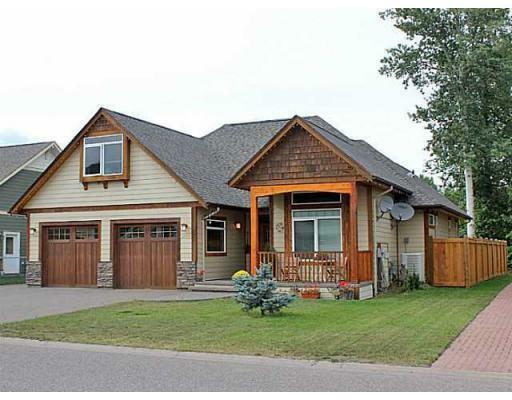 Enjoy the double heated garage, paved driveway and timber frame front porch. This house has a nice layout with features that will be in-style for years to come.